This week I did something a little different. Wednesday was our training day at work, and we finished a bit early. There happened to be a bloodmobile at the airport that day, so I took advantage of the extra time to pay them a visit and donate blood. It was the first time I had ever done so; I never weighed enough in high school or college to be eligible, and after that there never seemed to be a convenient opportunity. The bloodmobile doctor told me that I shouldn't do any strenuous exercise for the next 24 hours, which tanked my plan for doing yard work on Thursday. Instead, I spent the day wrestling with Adobe Illustrator, which I am using to produce the graphics for a board game that I'm in the process of designing. I've used Photoshop enough to be familiar with it, but I had never used Illustrator before (though it came together with Photoshop as part of the Creative Suite). It took me the entire day just to get the game map and a few of the card designs finished. Anyway, on Friday I ran an errand to turn my DVR in to the cable company, because it has been malfunctioning in such a way that it is unable to access the on demand programming that I should be able to watch, in exchange for a new one. The service person gave me a newer model that has more memory (yay!) and at the same time reduced my monthly rate (double yay!). Unfortunately, after I came home and hooked up the new DVR, I ran into trouble trying to activate it. The automated activation service didn't work, though that was initially my fault for connecting the cable wrong. After I fixed the cable, though, it still wouldn't activate. Two separate customer service people tried to activate it, but it remained stuck on channel 1 with no picture. They scheduled a technician to come Sunday (today) to fix it in person. However, I got a call saying that the person who was supposed to make the service call didn't show up for work, and I had to reschedule for Tuesday. They gave me a $20 credit for the inconvenience, so I'm not too upset about it, but I am sorry I'll be missing Cosmos tonight. Aw, I wanna see the game map! You cleared the old DVR? Good job! I'm sorry the new one is being a pill, but congrats on the cable bill reduction. I put all the files up on Google Drive. Everything is linked on my BGG work in progress post. You cleared the old DVR? Good job! Almost...I had to give up on a few old Colbert Report episodes. Other than that, though, I got everything else off. Hmm, having looked at the files there, I like the red gradient heart you have here better than the version with the yellow. 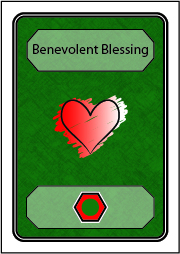 Also, I think the other cards need some sort of effect to separate the front object from the background (even the shadow on Amass Fortune helps a little). I really like the scratch out effect you have for the heart, but I don't know if that works with the 3D objects. I'm really impressed with the work you've put in, though! I like the red gradient heart you have here better than the version with the yellow. I don't think there's a yellow heart...? Do you mean the yellow background? The Dragon's colors are green and gold (green for basic, gold for upgrades), while the Emperor is red and white (red for basic, white for upgrades). 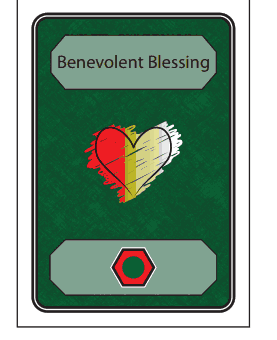 That's to go along with the images planned for the card backs, where they will be represented by specific flowers, so that they will be recognizable by those flowers for color blind players. I could alter the shades or saturation of the colors, though that's something to worry about after I actually have the backs done. Oh, that was the problem. If I look at the files on the web, the heart looks like this for me. Next time I upload a new version, I'll try selecting the optimize option to see if that helps keep the image looking the same when viewed online.